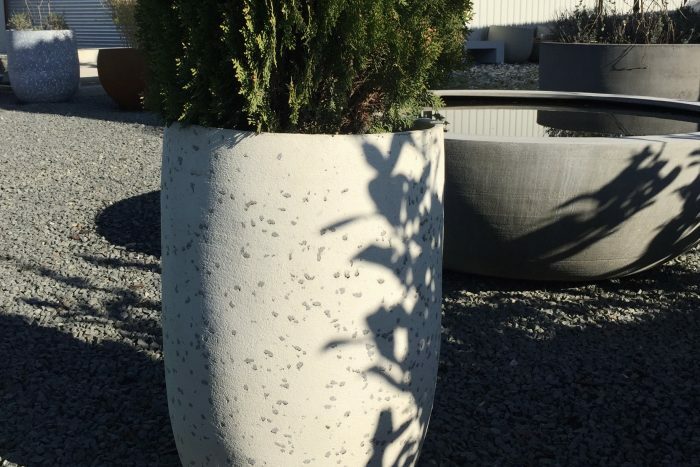 Some of our planters and water bowls are available with narrower rims. 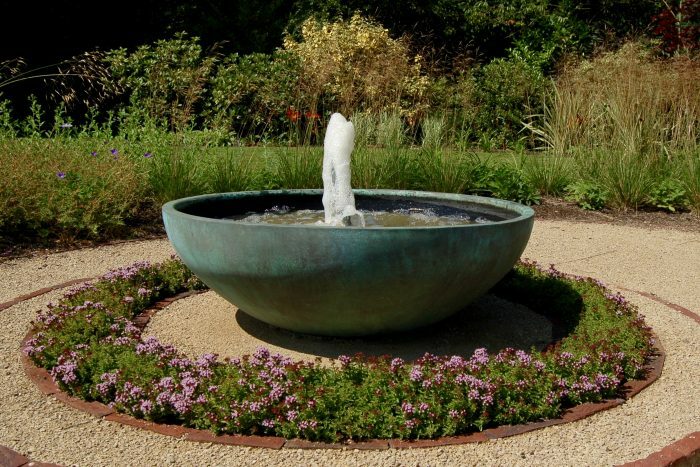 Here is our Lily water bowl with a small rim. 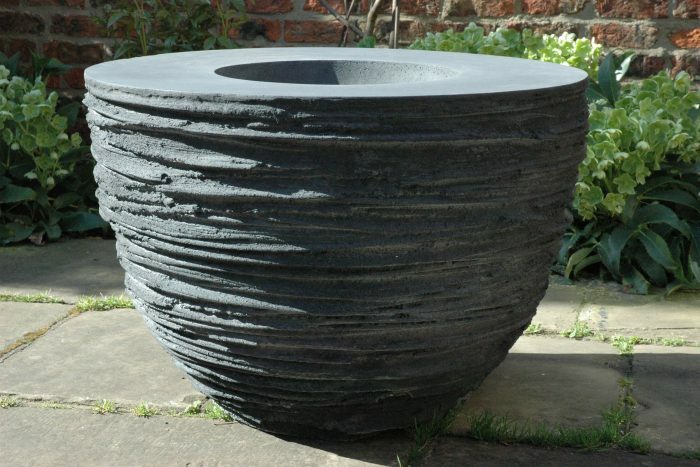 Our Charcoal Bowl is a special cross between a sculpture and a waterbowl that is particularly successful as a bird bath. It has a lovely striated hand turned surface. Our Birch and Safari finishes are fun new finishes. Here is an Axis 90 in Birch finish with a Drum 70 in the Safari finish in the background. The Safari finish is the reverse pattern of the Birch finish. 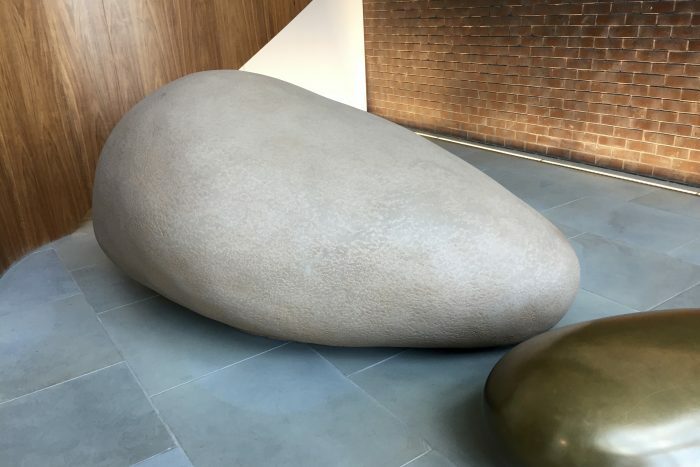 Urbis was asked to create a large bespoke pebble, over 2M long, for the foyer of the Plimsoll building in Kings Cross. 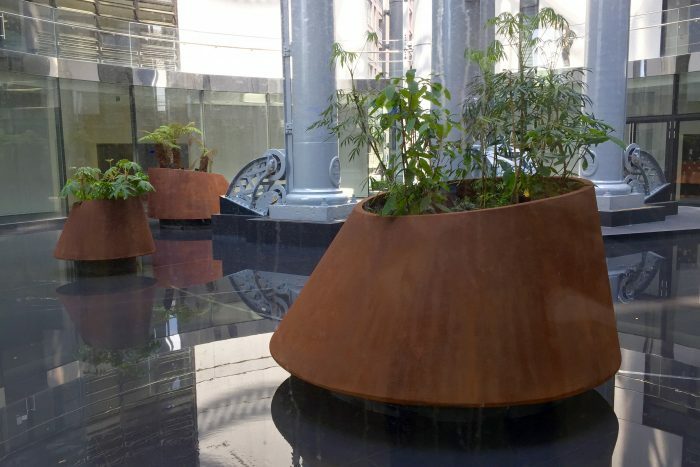 Urbis was asked to create these large pebble shaped planters for the Plimsoll Building in London’s Kings Cross. 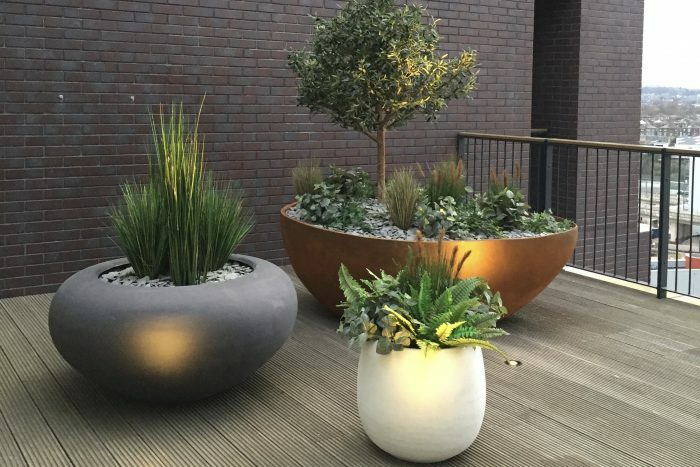 Here is a Rusty Pebble planter on the roof terrace along with our Urbis Poppy bowl and Olive planters. 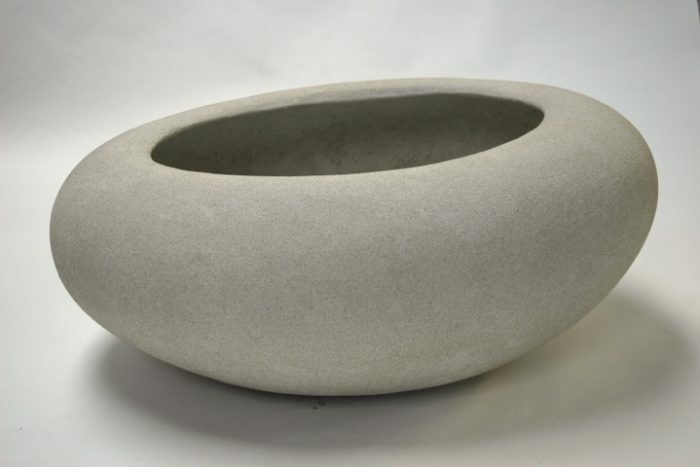 This is Urbis’s model for a pebble shaped planter which has since gone into production for developments in Kings Cross. 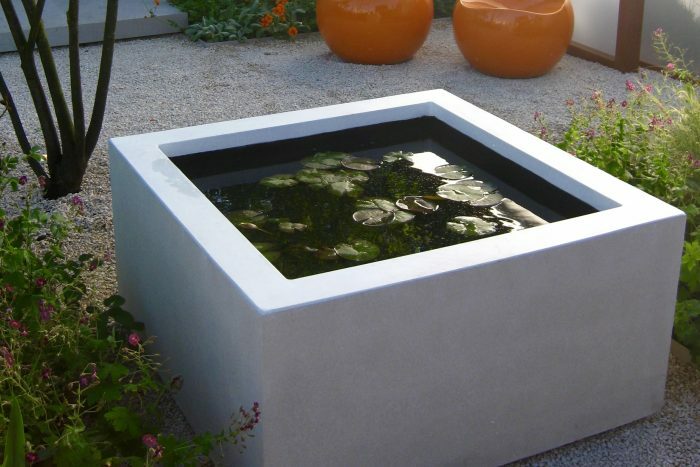 Our Urbis Cube 100 water bowl was our first water bowl to be shown at Chelsea Flower Show.